LaKeshia Hardy was raised in a single-parent home and became a mother just after graduating high school. She was on welfare in her younger years, but even in hard times strived to stay positive – she knew that she wanted more for herself and her family. She began to look for steady work and LaKeshia filled out a simple application on one sheet of paper and landed a job on the assembly line at Carrier. Over the years, she realized she wanted to be challenged in a role she could achieve if she gained experience beyond her high school education. Initially, this job changed her world. LaKeshia was able to finally get ahead. She started working overtime to pay off bills, earned seniority to take better shifts, and reached a point where she was saving money. She and her husband worked different shifts to accommodate their children, and life was good – busy and stressful, but good. Suddenly, after 13 years, Carrier announced they were moving hundreds of positions to Mexico. LaKeshia had built a life around a job that was going away and now had the opportunity to make this change she had been imagining. As a Carrier worker, she had a limited skill set and she knew with further training and education she would be able to achieve whatever goals she set her mind to – and inspire her children to dream big along the way. Interested in learning about a new career options, she took full advantage of meeting with a WorkOne Indy career navigator. LaKeshia was informed about different manufacturing training and certification opportunities, detailed in materials created by CAEL specifically for Carrier workers. But she decided to go down a different path and make choices that would directly impact the future of her career. As she decided to utilize this opportunity to make a transformative change, her career navigator did a thorough analysis of her skills and interests, urging LaKeshia to hone in on a career that she would love. Because of her own life experience, the idea of helping troubled high-schoolers overcome barriers, struggles, and emotional difficulties was a passion she wanted to pursue. Then, identifying social work as a correlating field of study, she was connected to Ivy Tech and enrolled in an associate’s degree in human services. Emauri’a Davis transferred between several high schools before enrolling at Arsenal Tech in November 2017, about halfway through her senior year. With this transition, her lack of stability was taking a toll on her self-confidence. 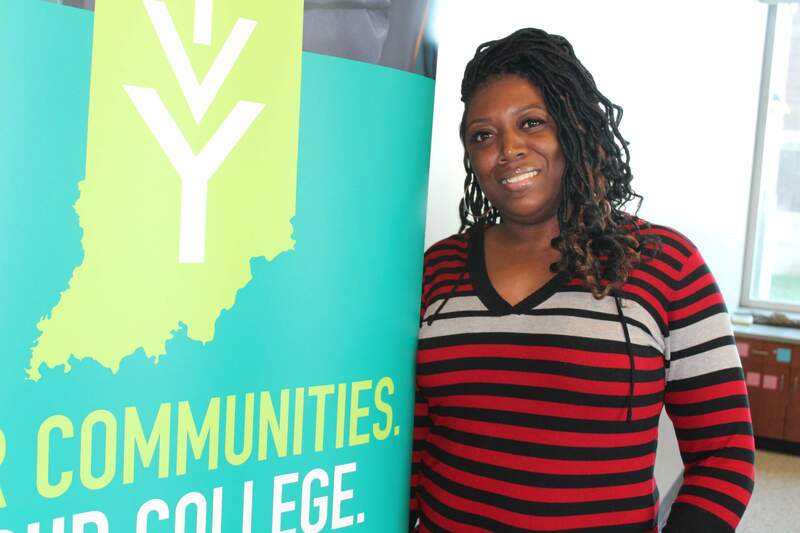 When Emauri’a enrolled at Arsenal Tech, her guidance counselor placed her into their Jobs for America’s Graduates (JAG) program where she facilitated relationships with her specialist and other JAG staff which made it possible for Emauri’a to connect with Stop the Violence Indianapolis, Inc. (STVI) where she started as an intern in November of 2018. 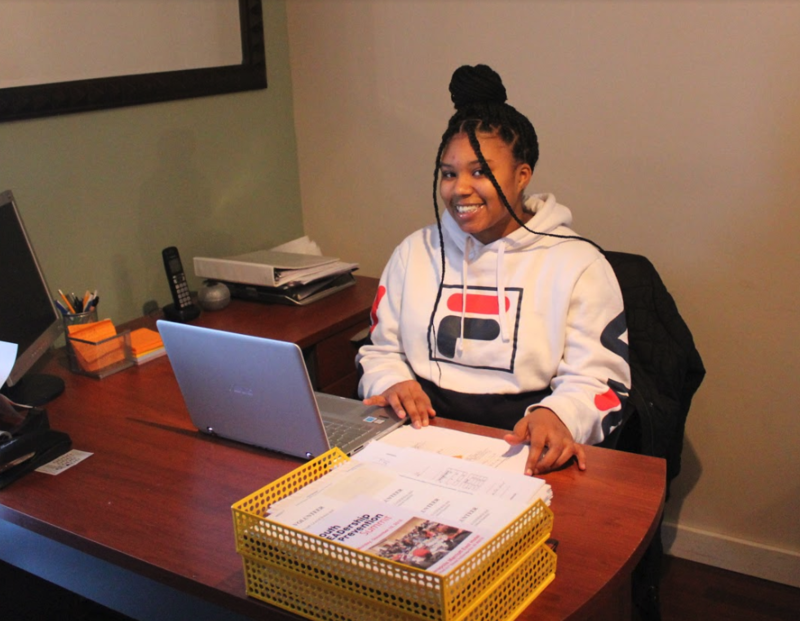 Since she started her internship at Stop the Violence, Emauri’a has already gained valuable professional experience – she has attended two conferences, organized data from surveys for reports, coordinated volunteer email communications, and learned to edit their website using WordPress. In addition, STVI staff are working with Emauri’a to add these experiences to her resume and provide constructive feedback to help her grow. “Without JAG and EmployIndy, we wouldn’t be able to do as much as we’ve done,” says Beatrice Beverly, Stop the Violence Indianapolis Program and Volunteer Director. As a small nonprofit with limited funding, STVI relies on JAG’s work experience funding to provide an immersive learning environment to Emauri’a and three other interns. 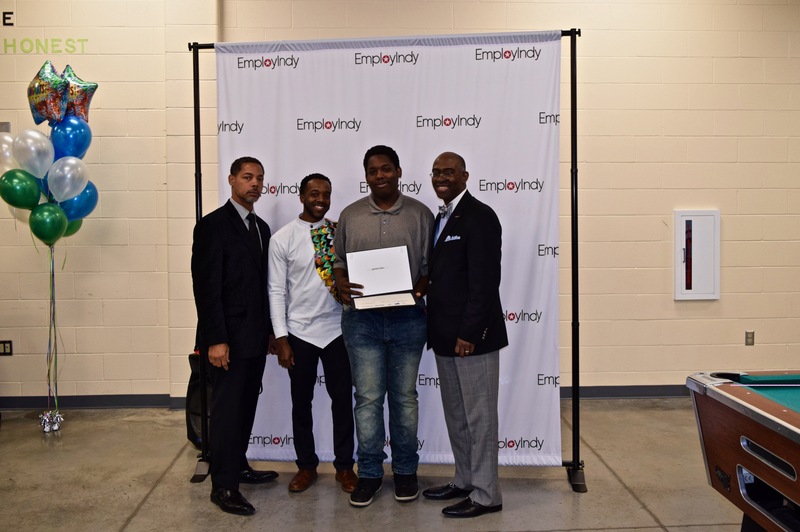 By investing in skill-building experiences for young adults, EmployIndy is cultivating positive career trajectories for these young adults and setting the table for stronger workforce in Marion County. The state of Indiana allocates funds annually to EmployIndy for programs like JAG, but donations make it possible for JAG to grow and for more students like Emauri’a to participate. It takes $2900 to sponsor a work experience and improve the future career of a young adult so they can have a positive impact right here in Indy. Jeffery Ezell, who completed the first cohort of the Pivot Power Huddle, an intensive mind-setting course, initially walked through the doors of the Finish Line Boys and Girls Club ready to play basketball, content with a high school diploma and working minimum wage. When he graduated from high school in May of 2018, his only motivation to get a job was to help support his mother and sisters. When Jeffery was young, his father passed away and he took over the role as “man of the house.” This involved helping raise his younger sisters, working to help pay the bills, and occasionally staying home to take care of things around the house while his mother went to work. Growing up in a single parent household, Jeffery was predicted to do poor in school, be less likely to graduate, and have limited social mobility. Establishing relationships with Erik Davenport, Pivot Re-Engagement Center Manager, and Jamarro Johnson, CAFE Youth Employment Specialist, gave Jeffery the courage to move beyond his community- and self-set expectations and join the Power Huddle course. When asked how the Power Huddle impacted his life, Jeffery could not choose just one thing – he mentioned the importance of soft skills and learning about steps taken to get a job, but then passionately described his greatest takeaway: that “some things in life you just can’t control.” Gaining this knowledge was the turning point for Jeffery – he obtained a renewed awareness of his barriers and made the conscious decision that they wouldn’t stop him from reaching his full potential. 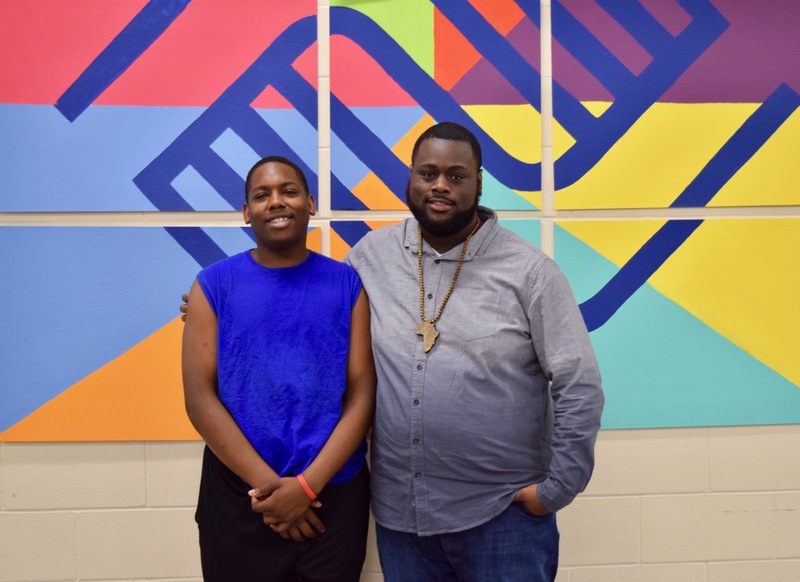 Since completing the Power Huddle, Jeffery has further engaged with Jamarro at CAFE and is in the process of enrolling in YES Indy services and establishing an “Individual Service Strategy.” He plans to explore his dream of becoming a police officer who manages a K9 unit. There are many young adults throughout Indianapolis who just need a little push to not only just show up, but to believe in themselves and strive to meet and exceed their full potential. Between administrative costs, materials, and time invested, it takes $1500 to process one young adult through the Pivot Re-Engagement Center and the Power Huddle. This amount has the potential to change lives and EmployIndy’s current funding can only go so far to support individuals like Jeffery­­­. Please consider partnering with us as we work with other community organizations to serve all Marion County residents.